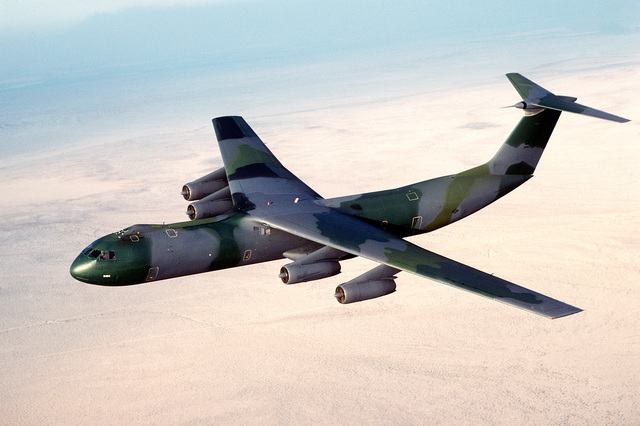 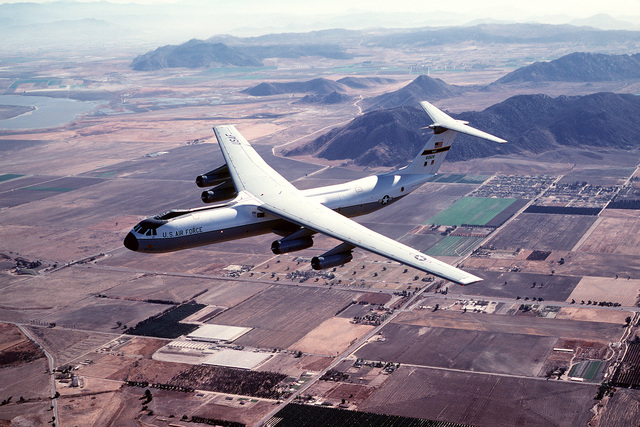 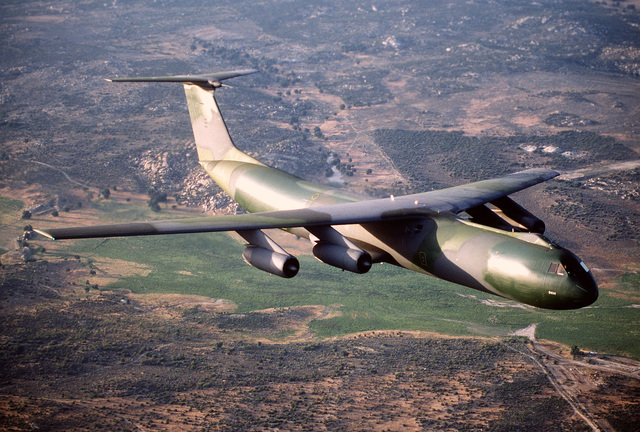 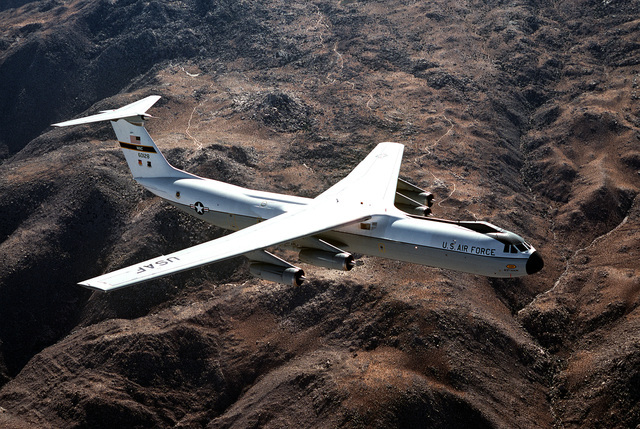 AN air-to-air left front view of a C-141B Starlifter aircraft with the new European paint scheme. 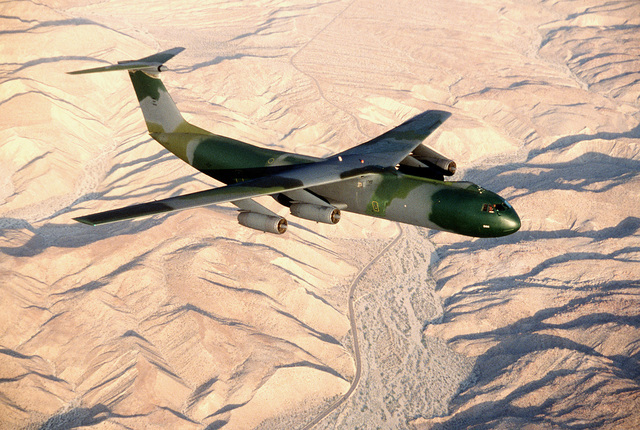 The aircraft is nicknamed "Green Lizard"
AN air-to-air overhead view of a C-141B Starlifter aircraft with the new European paint scheme. 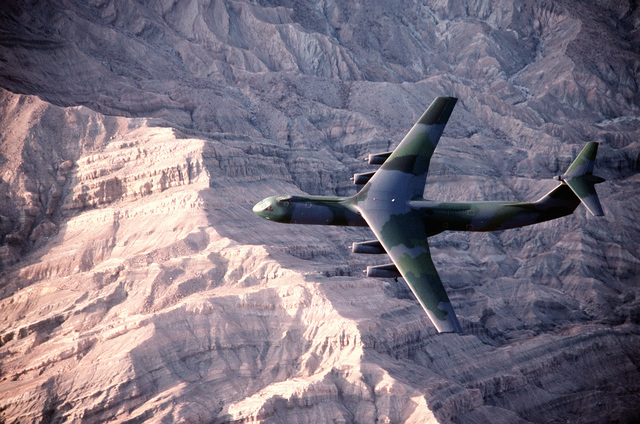 The aircraft is nicknamed "Green Lizard"
AN air-to-air left side view of a C-141B Starlifter aircraft with the new European paint scheme. 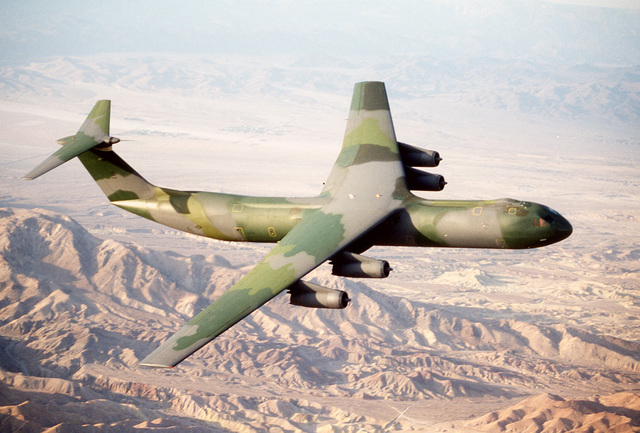 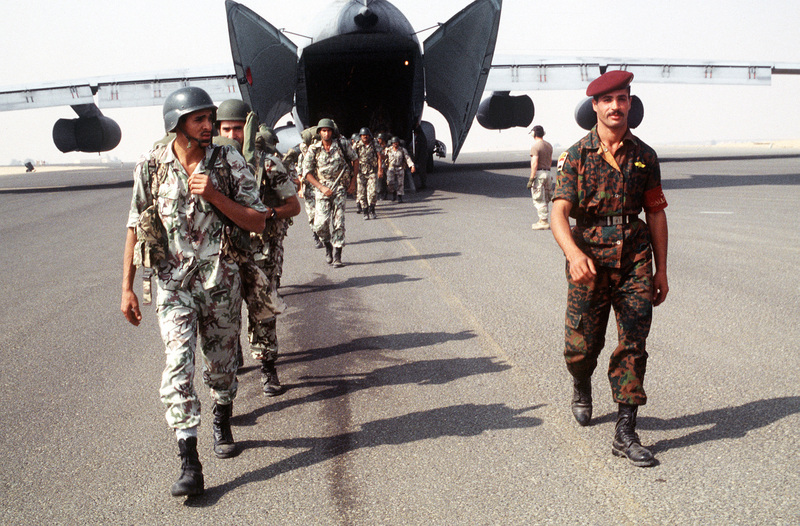 The aircraft is nicknamed "Green Lizard"